In her latest TED Talk, @Liv_Boeree discusses the role of luck, quantification & intuition in decision-making. Poker players often say, “I’d rather be lucky than good,” but do they really mean it? Most likely, they are referring to a possibly poor play that worked out for them, which just points to the short-term luck factor that permeates the game of poker. But if you ask the best in the world, they’ll surely take some bad luck short term over giving up their long-term skill advantage. Boeree discusses the topic of luck, explaining that in health, wealth and relationships, as with poker, not everything is in our control. “Like poker, life is also a game of skill and luck,” Boeree explained. An example of this point from poker, as Boeree points out in the talk, is when players win a big tournament and overestimate the skill factor in the win, which can lead to overconfidence in one’s skill level. In life also, realizing and acknowledging the role of luck in life successes will give people a more realistic assessment of their own ability and skill. By speaking in more specific numbers and probabilities, you can remove the potentially wide range of interpretations that result from vague probabilistic language. 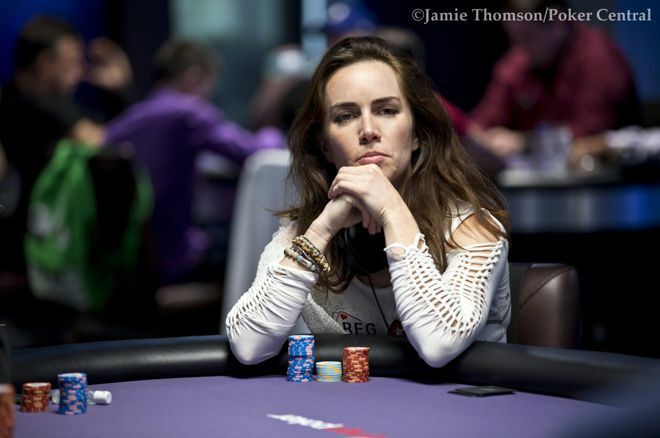 According to Boeree, the game of poker has changed such that players can no longer rely on pure intuition to rise to the top, but rather the best players in the game now rely heavily on slow, careful analysis. For this reason, Boeree suggests that when it comes to decision-making, especially in areas people don’t have a lot of experience with, it’s important to consider your gut, but rely on careful analysis to form a decision. You can watch Boeree's TED Talk here, and see her revised motivational memes that follow from the talk below. Boeree has discussed similar topics at TED before, focusing primarily on statistical thinking and how it can be used not just in poker, but to inform better decision-making and mediate expectations for humans in the real world.